Respiratory Care Jobs with Respitech Medical, Inc.
We are always seeking experienced, qualified, professional individuals who take great pride in delivering compassionate, quality health care for local & traveling employment opportunities. 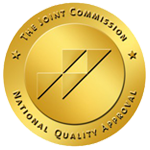 Our company and our reputation are defined by the quality of our care givers so we strive to hire and retain the best health care providers possible. Why work for Respitech Medical, Inc.? If you’re interested in respiratory care jobs or traveling healthcare jobs, Click here to fill out our on-line application.